While it is fun to throw about theories about what works and what doesn’t in viral marketing, the fact is that there is precious little public analysis about online behavior in the face of social economic incentives. The most detailed analysis I’ve been able to find is “The Dynamics of Viral Marketing“, which looked at real data from an e-commerce site that provided a simple incentive–recommend what you’ve bought and you + the first person who buys off your recommendation get 10% off. model that successfully identifies communities, product and pricing categories for which viral marketing seems to be very effective. The great thing about the analysis is that the data set extends to three major categories (books, CDs, DVDs and videos) with lots of buyers over two years. The researchers draw some interesting conclusions, including the observation that “purchases that resulted from recommendations are just a drop in the bucket of sales that occur through the website”. By not imposing limits on the number of recommendations that could be sent out they allowed some people to become spammers, which negatively affected conversion for the recipients, even as far as other senders were concerned. No surprise here–by analogy, email spam has reduced the effectiveness of email as a marketing medium for everyone. By having a one-size-fits-all incentive system, the etailer did not take advantage of the fact that the dynamics of viral distribution vary by product category and price range. Imagine picking a simple marketing strategy and putting it in place for two years without change and without any A/B testing. No, that’s not how things should be done. The etailer provided no tools to help viral spreading beyond the ability to email people with a recommendation. No profiles, recommendation lists, interest groups, checkout notifications, recommendation-based cross-selling, etc. To make effective use millions of distribution channels, e-commerce sites need to think systematically about social commerce. They need a strategy first. Then they need to realize that implementing a successful social commerce system will require investment not unlike that required to build any major part of their site. 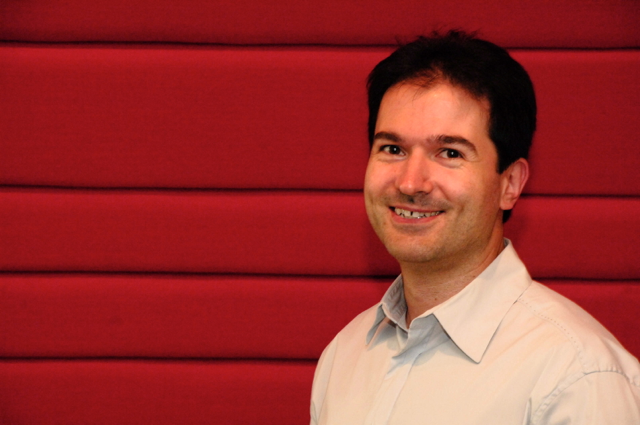 This entry was posted in Social Commerce and tagged Social Commerce. Bookmark the permalink. Great post… your absolutely right. There is quite a bit of “sayers” in viral marketing — but very little data to clearly define what works and systemizing it. Wow! That graph of recommendation network propagation is awesome! Even if that were all this post mentioned about the study, I would read it that day. btw. I agree with Maria. Jim, right, the paper is full of little insights like that, e.g., what’s the most effective number of “forwards” one can make. Too little is not enough. Too many and people start thinking of you as a spammer. Very, very interesting study – but nonetheless an isolated and non-representative case. As Sim commented: the propagation graphs are only as good as your campaign design. Poorly planned initiatives may result in conclusions like ‘Viral is all hype and no substance, it doesn’t work’. Wrong, of course. But ‘Viral’ is too many things to different people and certainly a lot broader than just primitive incentive schemes. 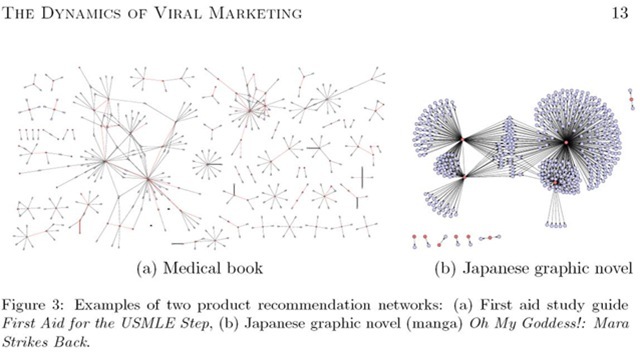 We need to keep in mind that ‘viral’ is not only (and not necessarily) about recommendations. In many cases it may be a ‘transport mechanism’, a many-to-many communication channel for a one-to-many message. The effective, multi-connected nodes also don’t have to be seen as spammers – if they are encouraged to apply permission principles. There is nothing wrong in reaching many recipients, if they are happy to receive what they perceive as useful (or even just interesting) communication. If we make hurried ‘wise’ conclusions like the one that viral sales are “just a drop in the bucket of sales that occur through the website”, then I can say the opposite: viral sales in our case were a Niagara compared to the drop that ocurred elsewhere. While SNA is already a well established scientific discipline, its application in marketing (and commerce in general) is still in very early empirical (even cowboy) days. It requires cross-discipline competence and close collaboration between mathematics (propagation models etc) and the humanitarian disciplines that underpin marketing (and even higher business strategy), still a rather rare combination.